The company started way back in 1980s, by husband and wife tandem that started selling food items like: candies, gums, ice cream, banana cue, and peanuts in Green Hills. However, they found a good spot in San Beda College (Mendiola), and decided to start a food business to serve the students’ meals around the area. This is where Lot’s A Pizza started. 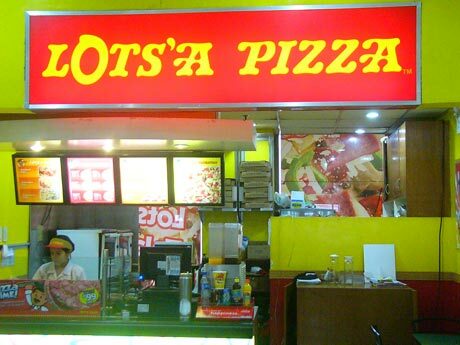 All of their efforts have paid off, nowadays; Lot’s A Pizza is one of the biggest in the food industry in the country. What makes Lots’a Pizza different from the rest in the market? It uses only the best quality of ingredients from the Philippines’ biggest and most popular food brands. Purefoods-Hormel Co supplies Lots’a Pizza, with the finest meat toppings, while the custom- blended sauce was supplied by Del Monte Philippines. All the cheese used in every Lots’a Pizza (and pasta as well) are being supplied by Kraft Foods Philippines. The pioneering Inventory and Ordering System of the company is powered by one of the telecom giants in the country, (and business solution provider) Globe Telecom, Inc. Lots’a Pizza is the only take-out and quick dining service in the Philippines that are conscious in providing affordable pizza to the Filipinos. Currently, Lots’a Pizza has a total of 204 operational outlets nationwide; 50 of them are Company Operated Outlets and 154 are Franchised Outlets for a total of 204 operational outlets. The franchised outlets are located way up north as far as Benguet and Isabela, Southern Luzon as far as Mindoro City and all over Metro Manila. Well recognized, multi awarded and the fastest growing franchise “Style Pinoy” pizza brand in the country that offers value for your money’s worth offering true Value for Money Pizza that is perfect for those who are budget-conscious customers. Awarded as one of the Top Ten Entrepreneurs in year 2008. 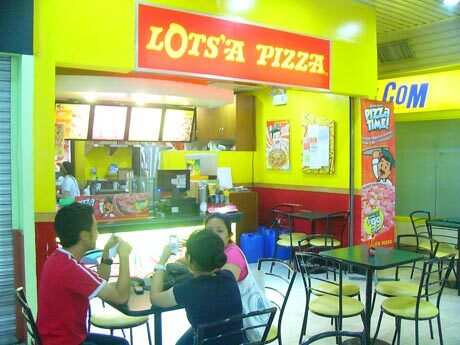 In 2009, Lots’a Pizza is awarded as Best Local Franchise, Best Fastest Growing Franchise and Most Promising Franchise by Entrepreneur Magazine. And a lot more recognition and prestigious awards under its wings, which only proves the company’s success and effective operations. Contact the LAP Head Office to request details of the franchising and the Letter of Intent and Application Form provision. Filling up of the LOI Template and emailing it to the LAP Head Office. Provide the franchisor the exact address of the proposed site and attached photos. Fill up and complete the Franchise Application Form and send it back to Lots’a Pizza Head Office as well as the other requested documents. Hi im Abhinav from India. Im looking for a franchise. hi please send more info about the franchise procedure and roi computation if possible.thanks. For clarification, Franchise fee for ex. LAP full store(Php350,000.00) is a one time payment? Hi Ricky! Yes, the Franchise Fee for a full store is a one time payment. However – we always suggest to contact the Franchise Owner directly for all the exact details.